Finally! 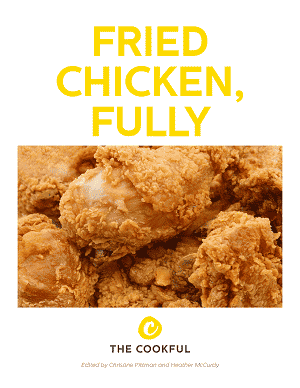 A diet that lets you enjoy fried chicken. 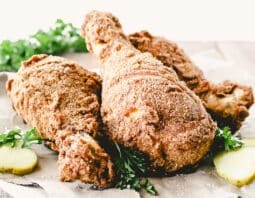 You’re going to love this Keto Fried Chicken and it’s easy to make. 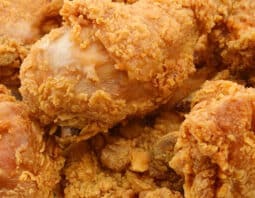 Missing Classic Fried Chicken on your low carb diet? 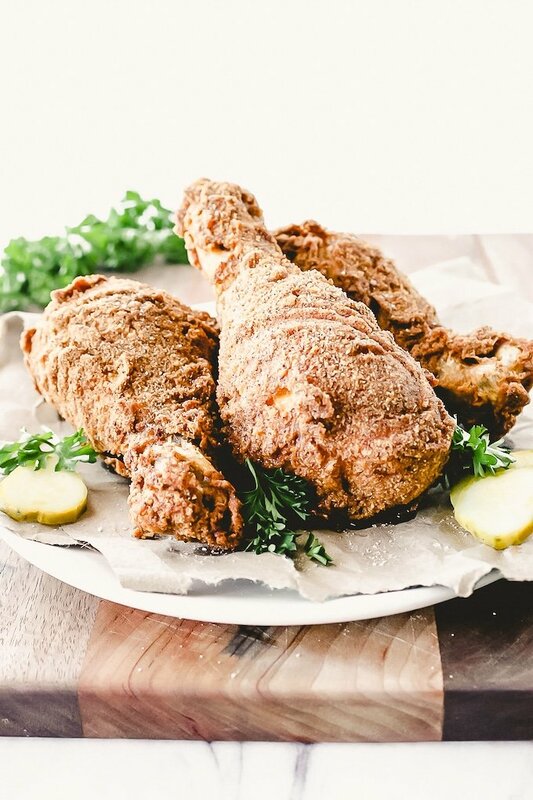 Keto Fried Chicken is the answer! Instead of using flour or bread crumbs, which are far too high in carbohydrates, we’re using almond flour for a low carb alternative. We’re also skipping the buttermilk (high in carbs) and using heavy whipping cream instead. While you might be tempted to just skip this step, don’t do it. The cream helps brine the chicken and keep it nice and juicy. Season the flour. Adding paprika and cayenne pepper to the almond flour helps give it a traditional fried chicken flavor. Double flour dredge. Almond flour doesn’t stick to the chicken as well as all-purpose flour, so adding the egg wash and an additional dredge in flour ensures that the almond flour sticks to the chicken. 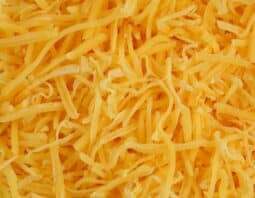 Use smaller pieces of chicken so the chicken cooks relatively quickly. Almond flour burns easier than regular flour, so you want to make sure the chicken cooks fast enough. 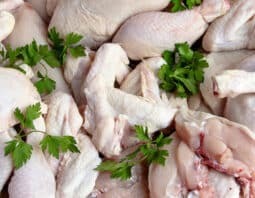 Remove chicken from the refrigerator about half an hour before you fry it. This helps the oil stay hotter and not drop too much in temperature once you add the chicken. Just like that, there will be some crunchy and crispy Keto Fried Chicken is in your future. Combine chicken and whipping cream together in a bowl. 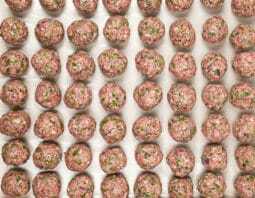 Refrigerate for at least four hours, or up to 24 hours. Take chicken out of refrigerator at least half an hour before cooking. Heat pot of oil to 350°F. Whisk together almond flour, cayenne pepper and salt in another large bowl. Whisk together eggs in a medium bowl. Dredge chicken through flour mixture, then through egg wash, then through flour mixture again. Repeat with all pieces of chicken. 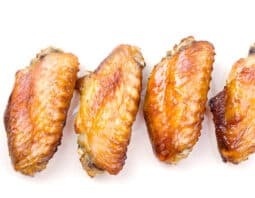 Remove chicken from oil and let rest on a wire drying rack. Sprinkle with salt. Emily is a Nutritionist and Recipe Developer who creates easy and healthy recipes for busy families on My Everyday Table. She drinks coffee in the morning, wine at night, and sometimes a green juice in between!